October 23, 2014 - Like us now! 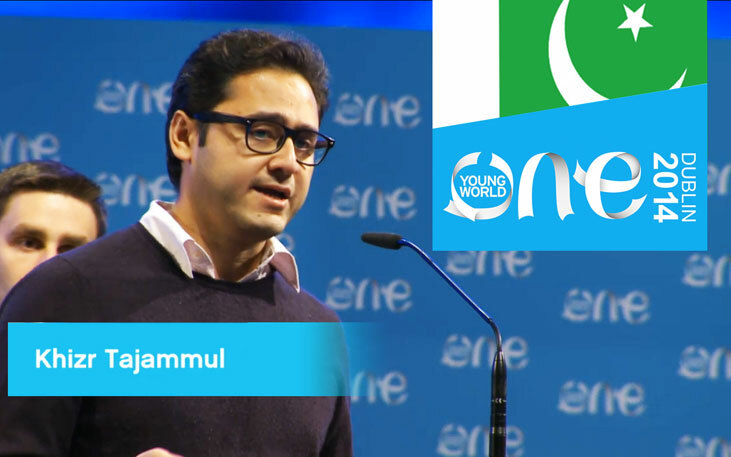 This year, at the fifth One Young World summit in Dublin, Pakistan won the first prize at the Rwanga Social Startup Competition.Representing Pakistan, Khizr Imran Tajammul, shared his vision to research and manufacture affordable energy solutions for low income communities. His idea is to use the potential of solar energy in Pakistan and to make solar energy solutions more accessible to the lowest common denominator.Among an array of potential utilities and products, he feels that solar water heating has great potential and that ‘greenhouse technology’ as opposed to evacuation tubes (used in most conventional solar water heaters) can prove more efficient and affordable and therefore have the immense potential to rapidly spread across Pakistan. Jaan Pakistan, is the name of the organization Khizr has co-founded with his friends to launch this initiative. Jaan Pakistan has thus far received USD 20,000/- in prize money and is planning to venture into prototype development at the end of this year. Jaan Pakistan is also collaborating with international manufacturers and technology giants to fine tune the design for their first product – the solar water heater. One Young World was founded in 2009 by David Jones, Kate Robertson and Founding Corporate Partner: Havas. One Young World is a UK-based not-for-profit that gathers together the brightest young people from around the world, empowering them to make lasting connections to create positive change. This year the conference was attended by a series of established global leaders such as Kofi Annan, Mary Robinson, Sir Bob Geldof, Professor Muhammad Yunus, Paul Polman, Doug Richard, Jimmy Wales, Former Latin American Presidents, Sol Campbell, Dame Ellen MacArthur, Martin Pollock, Hans Reitz, Professor Meghan ‘O Sullivan and Meghan Markle.